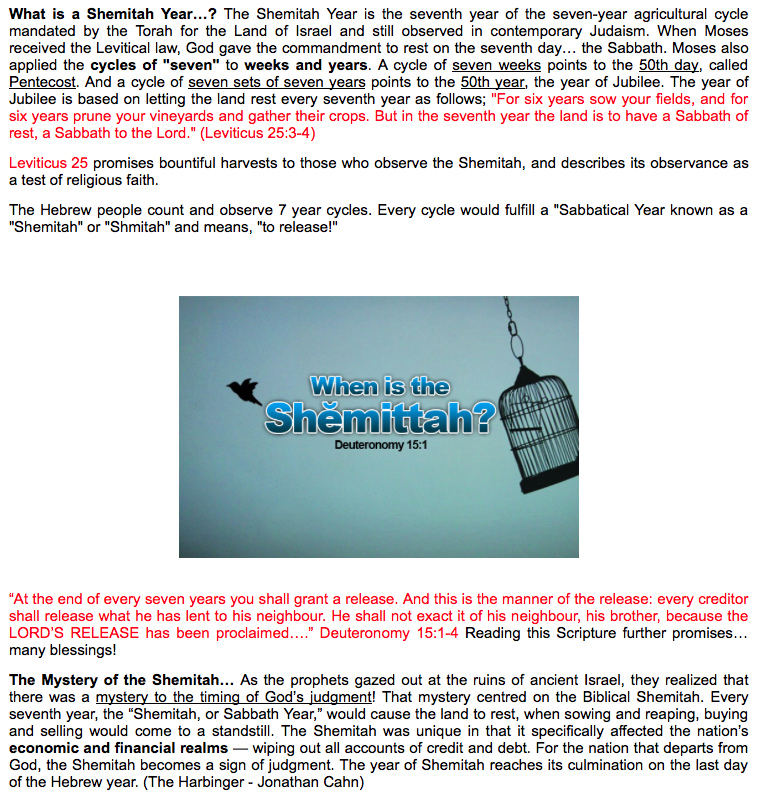 “Biblical Shemitah” in the month of Tishri? The pervasiveness of the Western calendar around the globe is the product of a bygone era when the center of the world was Rome. The British Empire was also very deliberate about the institution of English time-keeping wherever they claimed a new colony or established a new settlement. Which is the very reason why Greenwich Mean Time is calibrated from the mean solar time at the Royal Observatory in Greenwich, London. Whoever controls the time, controls the colony as well as the civilization! In addition to the Gregorian calendar, the USA has recently been influenced by the calendars from the East. Both the Chinese New Year and Indian celebrations of Holi and Diwali are observed by growing segments of the U.S. population as illustrations. However, it is the Hebrew calendar which has exerted the greatest amount of influence over the affairs of the USA after the commonly used Christian calendar. Since the very founding of the constitutional republic, the Jewish calendar slowly came into prominence because of the number of Jews who regularly migrated to the USA. Even the vast majority of comedians, who have entertained America for decades, came through the Borscht Belt in the Catskills as did beet borscht and lochs and bagels. Likewise, their many Yiddish idioms and colloquialisms, Jewish customs and traditions, have become a part of American culture. All of these have been further disseminated throughout societies everywhere, over many decades, by Hollywood and the Mainstream Media. In this way many are now acutely aware of the pervasiveness of Jewish influence in the USA and abroad. Because of this profound relationship, what affects the many Jews living in the U.S. deeply affects all Americans. Just as what affects America can dramatically affect the Middle East and Central Asia, China and Japan, South America and Africa, Canada and Mexico, etc. 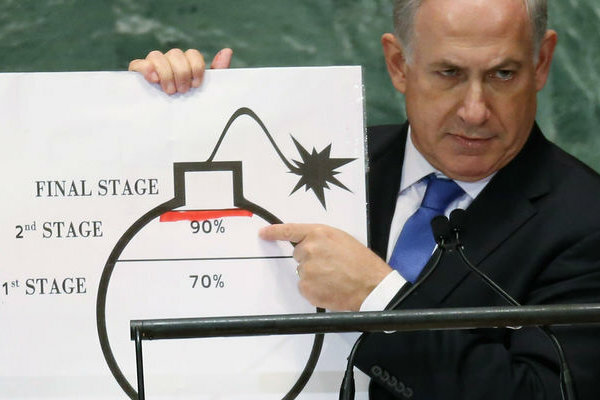 The current battleground of Armageddon in the Mideast is a grim testament to this reality. Similarly, the current domestic predicament of the USA has been controlled to an inordinate degree, by the same Chosen People. Ergo, the calendar which the Jewish people hold sacred will inevitably have a tremendous impact on the nation, and especially on the immediate future of America. The world community of nations has never been so interconnected. Countries such as the USA and Israel are uniquely interdependent. Because certain national, and regional, destinies are now inextricably interwoven, the fate suffered by one country can easily overwhelm another. Conversely, the degree of good fortune experienced by any given region or nation will naturally be enjoyed by its neighbors. Hence, when the “Biblical Shemitah” trumpets are finally blown during the upcoming Jubilee, everyone will hear what they will according to their destiny and fate. There is no question that the “Blood Moon Tetrad” of 2014 and 2015 reflects a portentous cycle which cannot be ignored, particularly in view of so many earth-shattering global developments since the first of four consecutive lunar eclipses occurred on April 15, 2014. That the last Blood Moon of the tetrad takes place on September 28th 0f 2015 certainly fits the timing of the prophecy. The Shemitah officially ends on September 13, 2015 and is followed by the 70th Jubilee. The following excerpt may be written in language which many often dismiss because of its obvious religious overtones and scriptural language. Nevertheless, it conveys some pertinent information and insight which only confirms that 2015 may shape up to be the most pivotal year of the 3rd Millennium. 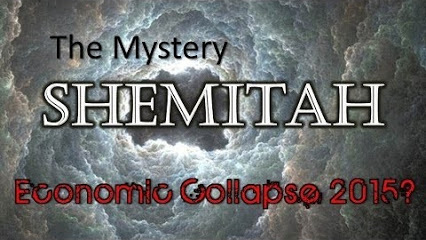 We feel obligated to point out that our analysis independently arrived at the very same correlation between the Shemitah Jubilee and the beginning of the Great Tribulation, right down to the critical time frame of September/October of 2015. 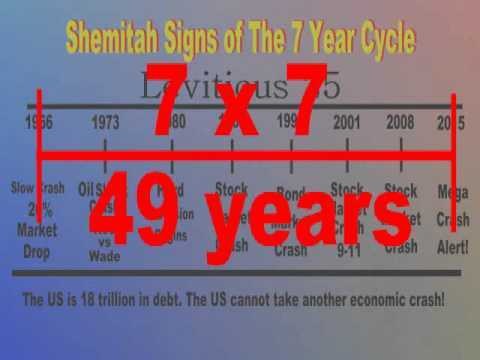 According to their calendar, the Jubilee* occurs every 50 years after the 49-year cycle (seven cycles of seven years also known as “seven Sabbaths of years“) completes as delineated in the above diagram. It comes to its ultimate fruition in 2015 because this year is also the 70th Jubilee, 7 years prior to the crucial Shemitah year of 2022/23. 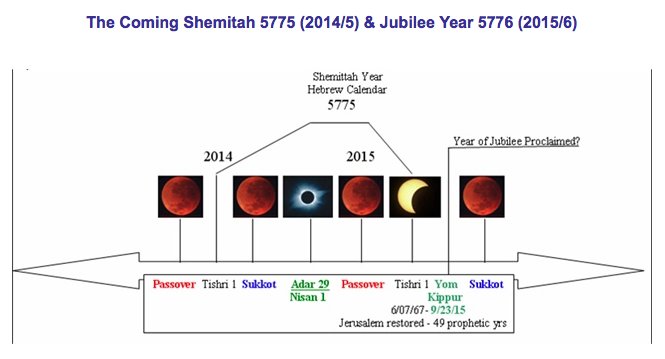 Because that year —2023 — represents the final end of the current Judaic calendrical cycle, the oft-prophesied 7-year Great Tribulation appears to begin in earnest in the 2015/2016 time frame. The coincidence of these two mutually reinforcing astrological events only occurs every 245 years. The obvious deduction is that the United States of America is getting ready to experience the 2nd American Revolution. Only this time the people are revolting against an extremely oppressive U.S. Federal Government. Political and financial tyranny have been manifesting on a daily basis. The citizenry has never been so justifiably rebellious in almost 250 years. The upcoming segment of this show starring the Fire Monkey is taking place while Pluto is crashing through Capricorn, as it has been since 2008. 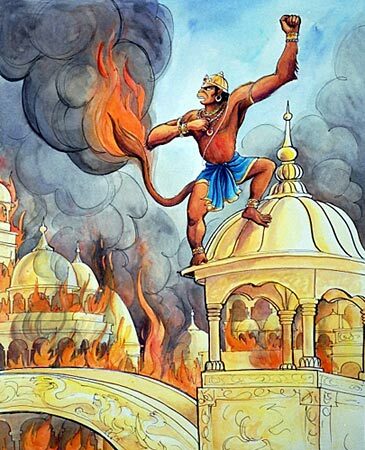 This particular combination, of Plutonian energy sending shockwaves through the very foundations of the USA power structure while the Fire Monkey (known as King Kong in Hollywood) ensures that the whole place crashes and burns, is utterly irrepressible. Here’s what can happen every 245 years, which only occurs infrequently due to the lengthy orbit of distant Pluto. That leaves us wondering what roles Barack Obama, Vladimir Putin and Benjamin Netanyahu might be playing? Of utmost consequence, however, it is those who dictate and manipulate the religious prophecy who exercise the greatest control over the faithful and other believers. However, it is necessarily the state of the individual consciousness which must first be elevated, if it is to raise the collective awareness of all earthlings. This is where 2016 comes in. The coming American revolution is fundamentally a revolution of consciousness — both individual and group consciousness. Each individual is being summoned by the Universe to reclaim his or her personal sovereignty. Only then can the critical group known as the U.S. citizenry take back their power from those who have misappropriated it. What each of us does with our time and energy between now and September of 2015 can have significant impact on the earthly outcomes. Regardless of the workings of the World Shadow Government, it does appear that the Shift of the Ages will happen with or without them. Perhaps it’s time to simply let the Divine Mother work Her magic and hope that we will know when to get out the way. The preordained “Return of the Goddess” has been eagerly anticipated since time immemorial. Hopefully, the Masters of the Patriarchy do know that their time is now up. The following video offers a unique window into the realities and mysteries of Shemitah. It provides some very compelling information which is particularly timely and relevant as we approach Tishri this coming September of 2015. If you watch only one video in 2015, this one ought to be the one.